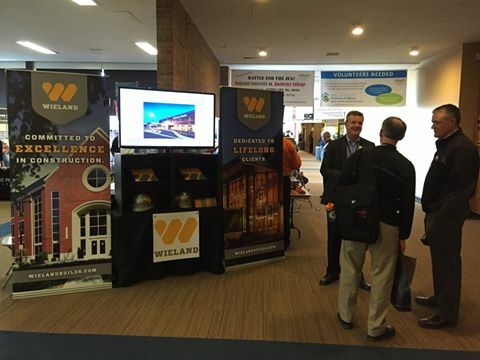 Wieland participates in many conferences to spread the word about its construction services. This week, Senior Business Development Manager Steve Opper (far left) is hosting Wieland’s exhibit at the Michigan Association of Physical Plant Administrators (MiAPPA) winter meetings at Oakland University (MI). MiAPPA is the association for university and college facility managers.